Part 1: What is the Difference Between Food Allergy and Food Sensitivity Testing and which should I do for my SVT? I believe that one of the root causes of SVT is that SVT is rooted in inflammatory responses happening in your body. This in-depth topic is explained in detail in my e-book, The SVT Prevention Diet. 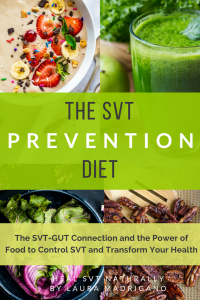 In that 200 page digital download, I walk you through, how undiagnosed food sensitivities, leaky gut syndrome, an over-burdened lymphatic system, a high body burden, malabsorption, and depletion all have a cascading effect that I call the SVT-Gut connection and lead to SVT. If you are interested in applying this approach, my Heal SVT Naturally Approach, to your own SVT healing, then changing your diet is a very important tool to use in your self-healing work. Knowing exactly how to apply dietary changes, can be confusing. While I lay out for you the exact diet to follow in The SVT Prevention Diet, if you want even more specific direction or the impetus to finally use diet as a healing tool, Lab testing can be helpful. For me, it provided the Black and White evidence I needed to commit to healing diet. 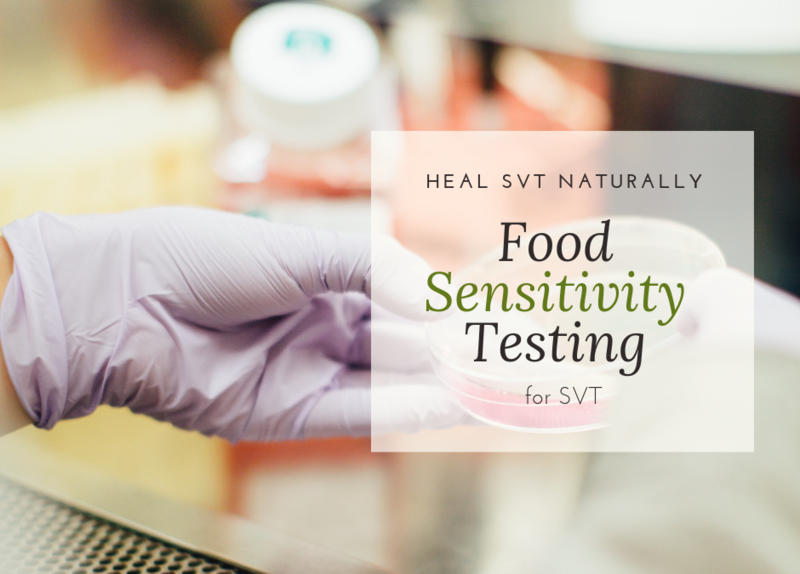 Central to healing SVT naturally is to understand the differences between food allergy and food sensitivity testing. This critical information is intended to lead you to get properly tested so that you will know with certainty what foods or environmental substances are contributing to your health problems. The knowledge you gain from testing will support your commitment to make the necessary adjustments in your diet and environment. Food allergies and food sensitivities have important distinctions for SVT sufferers who want to take control of their health. They can cause different kinds of reactions in your body, occur within different time frames, and require different kinds of tests to determine which you may have. It’s also possible to suffer from both allergies and sensitivities, and not be able to tell which kind you are experiencing, which makes testing invaluable. Most food allergies trigger a reaction within minutes and are known as an IgE (or immunoglobulin E)-mediated immune response. Symptoms can range from hives, runny nose, coughing, eye redness, tearing to the more serious difficulty breathing, swelling, wheezing and anaphylactic shock. This is the body’s way of mounting a response to foreign substances that it cannot tolerate–strawberries, soy, wheat, corn, shellfish, egg, dairy products, nuts or environmental sources such as pollen, molds, dust, trees or bees, to name some of the common ones. Food sensitivities can come from many foods as well, but are a different kind of reaction called an IgG or IgA (Immunoglobulin G or A) delayed immune response. Food sensitivities can be obvious or subtle, can occur quickly or up to 72 hours later, and can have long-term impacts on your health. These types of food sensitivities often damage the gut, create chronic inflammation and lead to the cascading result of triggering SVT. I discuss this in my Heal SVT Naturally e-guides as part of my SVT-Gut connection theory. An allergist/Immunologist or internist typically only tests for IgE allergies, which may be useful information for you to have,especially if you are prone to asthma or histamine reactions. However, if you are serious about improving your overall health, finding the source of leaky gut and inflammation, and preventing SVT episodes, you must get tested for IgG or IgA sensitivities. This will reveal which substances may likely be contributing to your SVT (such as gluten) and give you defined dietary direction.The type of practitioners most likely to provide IgG/IgA testing are functional medicine doctors, naturopaths and chiropractors to name a few. You can also seek testing on your own through the labs that I recommend in the e-guides and that will appear in this column next week. While you may already know or suspect that certain foods are worsening or triggering your SVT or other symptoms, and may be avoiding them, I still recommend getting tested for food and environmental sensitivities.It is human nature to second guess your intuition or rational decisions when you are feeling weak or have doubts. Complete and proper testing will give you definitive knowledge and the confidence to move forward. As I say in my first e-guide, Heal SVT Naturally The BASICS, you need to be your own SVT Detective. Learning about your food sensitivities is an important part of this investigative work. If you have any questions, please post them in the comments section below. Good information ..I learn more from your blogs/books than from most doctors. You explain things in an easy to understand way. That’s wonderful! 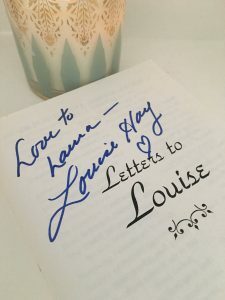 So glad to hear that I the information and my Heal SVT naturally blog posts are easy to understand! Good information but I’m pretty tired of being told about all the tests I simply must have to help manage my SVT episodes. If I could afford all the testing, I would certainly do it. There’s never any mention of how expensive all this testing is or any seeming awareness of how a regular person, working paycheck to paycheck is supposed to pay for it all. Hi Samantha! Glad you found the information helpful! Thank you for your comment. First let me just say that I hear your frustration. It’s very unfortunate that many of the alternative testing that really can help people to heal at root cause levels such as identifying undiagnosed food sensitivities, genetic testing for gluten intolerance unfortunately are not covered by insurance. Further, most traditional western doctors are not prescribing these types of tests that are actually useful and directive. Im a great example of that. All of the tests I got for years were 100% normal yet I was so sick with SVT and POTS I could barely function. My entire Neal SVT Naturally approach is based on that traditional Western Cardiology did not direct me at all to any of the things that made the real changes in my life, which is why I am providing this information for others in case they are interested. I am not associated with these labs or avenues of testing, just providing the information as what worked for me. Additionally, none of the healing practitioners that I worked with like Health Coaches, Energy healers, acupuncturists, etc. accepted insurance because again that’s just how our medical system in the United States works. So yes you do have to pay for most alternative healing protocols out of pocket however, that being said you don’t have to do any of these tests if you don’t want to. And if you dont want to pay for any tests, then you can just make assumptions according to popular allergens, or food tracking, based on your own findsing. You just wont be getting personalized information but nonetheless you can just remove gluten, sugar and dairy to see if that makes the difference for you. So for example if you are strict gluten and sugar free and still having episodes, you would need to take your gut healing protocol to a deeper level, and that would be difficult without personalized testing and direction. For me, I was not really initially that committed to my gluten-free diet and I was still having (SVT) and when I did finally decide to bite the bullet and pay for the test and I found out in black-and-white evidence that I was gluten intolerant and it really really really helped me to finally commit to the dietary changes that change my life, and rid me of SVT and many other SVT co-symptoms. Good Luck and let me know if you have any other questions. Also stay tuned for the next blog post with more info on the labs, and other info. Where do you have the test done?